An MBA graduate, Tushar Parab, joined the iProspect family in 2019 as AVP - Paid Media. With over 11 years of skilled experience in digital marketing, he has expertise in paid media marketing, performance media & marketing automation. He has grown not only as an individual but also as a professional through his previous work. 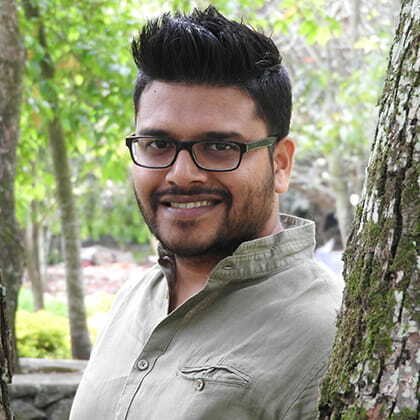 He has worked with agencies like RK Swamy BBDO, Communicate2 & Hungama digital. Prior to joining iProspect, he was with Coverfox Insurance where he was responsible for paid performance marketing & strategic alliance for general/life insurance & investment product portfolios. Throughout his journey, he has collaborated with multiple platforms such as Google, Bing, Facebook & Adobe. Tushar is Google Adwords & Analytics certified and he has worked with native advertising platforms like Taboola, Outbrain & Yahoo! native to promote their services/products to the clients based on insights while working on the account. Attention to detail & innovative approach to problem solving are two of the biggest strengths. He is a team player and a great resource to any team. On the personal front, he is an active theatre artist, YouTuber, percussionist & passionate about music.